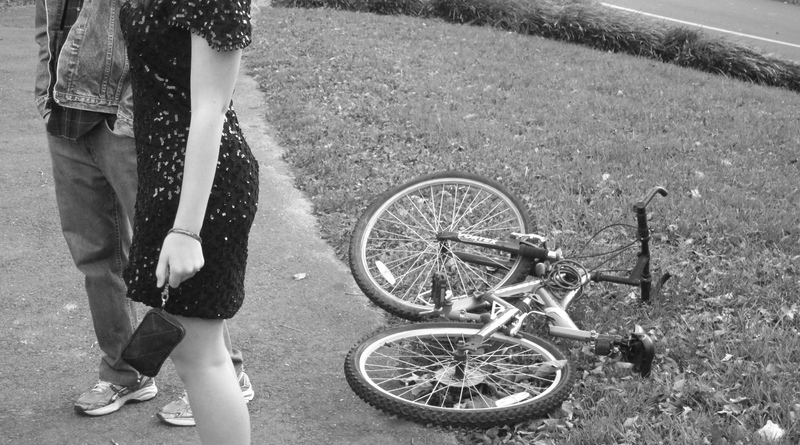 My life through pictures. Because I’m so tired it’s too difficult to put together a coherent sentence on paper. Well that’s not exactly true because I’m doing it right this moment, but you get what I mean. Midterm week is coming up. Very quickly. Fortunately, these cookies don’t need much explanation. Bacon crumbles. Sticky salted caramel. Dark chocolate chunks. Made by pounding the chocolate bars on the counter, much to the annoyance of surrounding studying students (hey! I can even form alliterations while zoned-out!). Cookie dough. 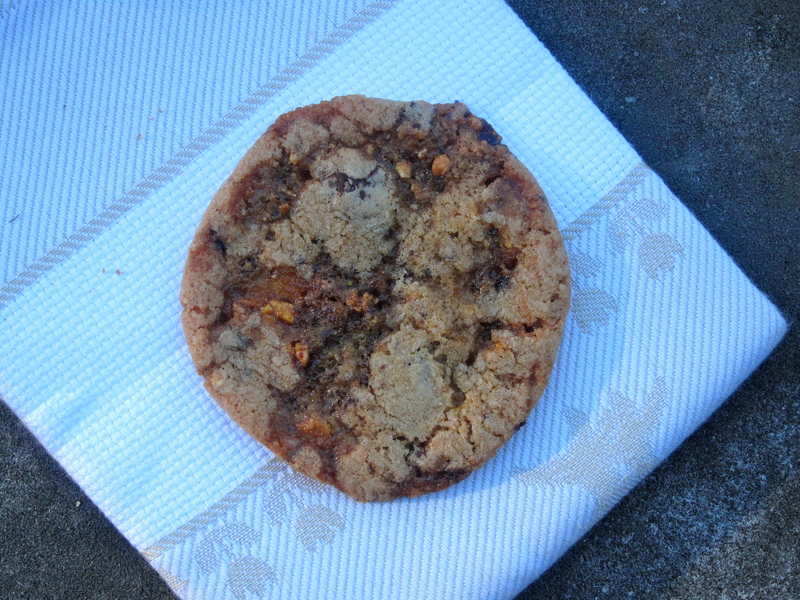 Chewy, flat, with crunchy bites of crackly bacon toffee. And I just knew you were wondering what to do with all of the leftover caramelized bacon from last week. If you want to make these, I suggest first making the bacon toffee described in the post below, crumbling (or hacking) it into your favorite chocolate chip cookie dough, and then sitting in front of the oven while the toffee melts into huge, nearly transparent, puddles inside your cookies. Did you smash up your Bacon Crack?!? 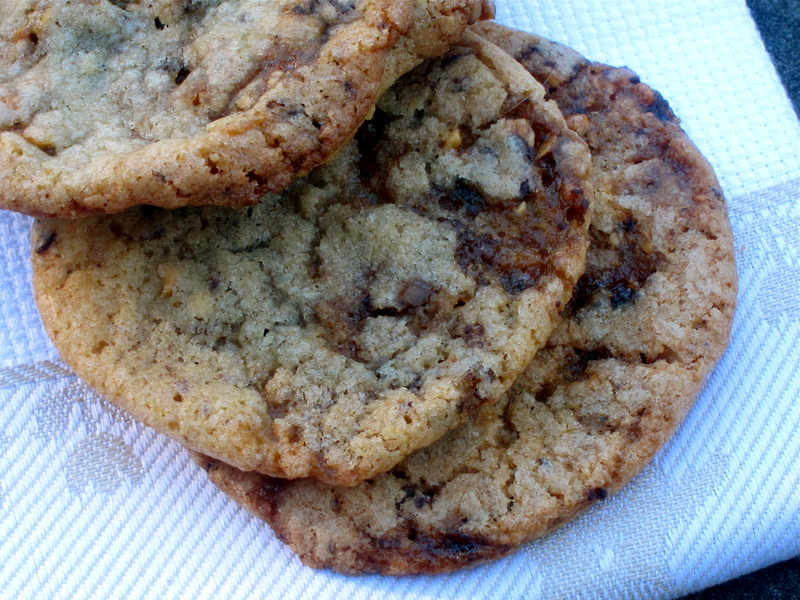 You are currently reading Bacon toffee chocolate chunk cookies at Soufflé Days.